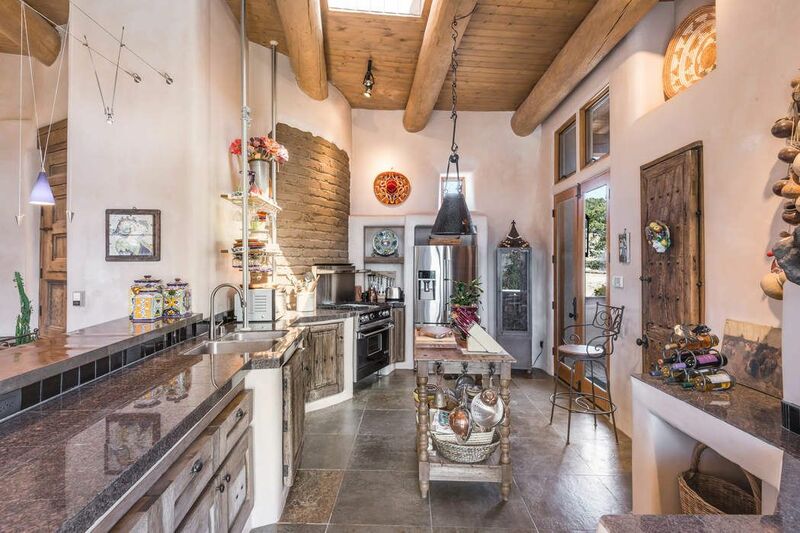 52-B Paseo Del Pinon, Santa Fe, NM 87508 | Sotheby's International Realty, Inc.
$825,000 3 Bedrooms2 Full / 1 Partial Baths3,000 sq. 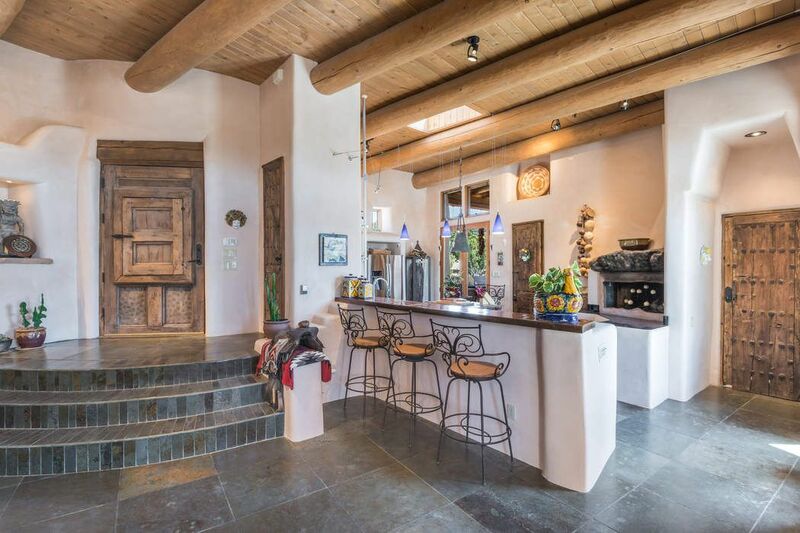 ft.
Old World Ambiance, natural warmth and sophistication was created in this majestic Pueblo Style home by featuring artisan crafted stone work and authentic antique cabinets throughout. 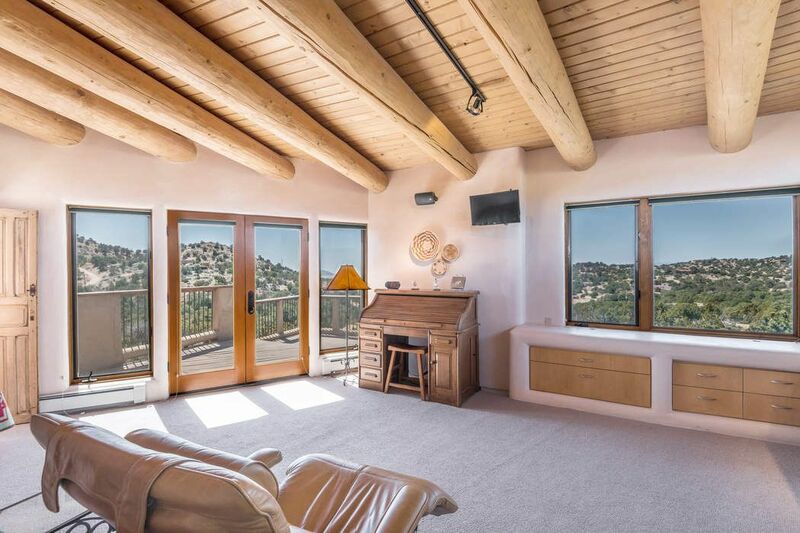 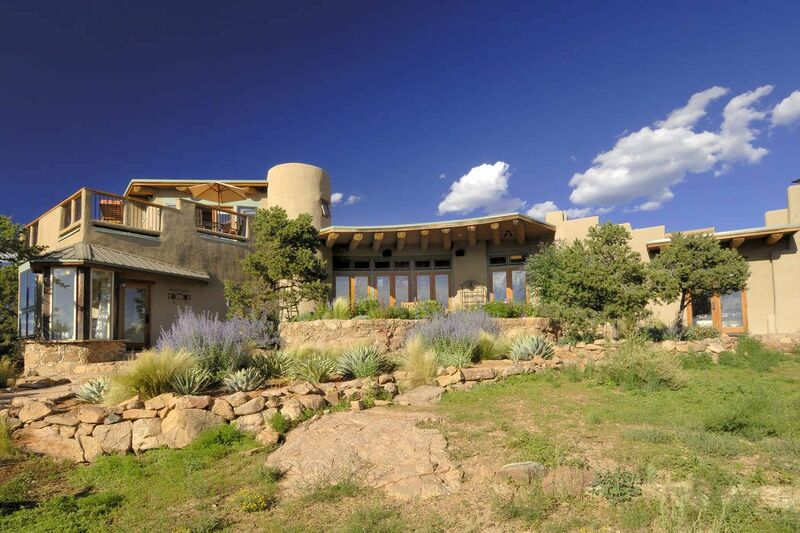 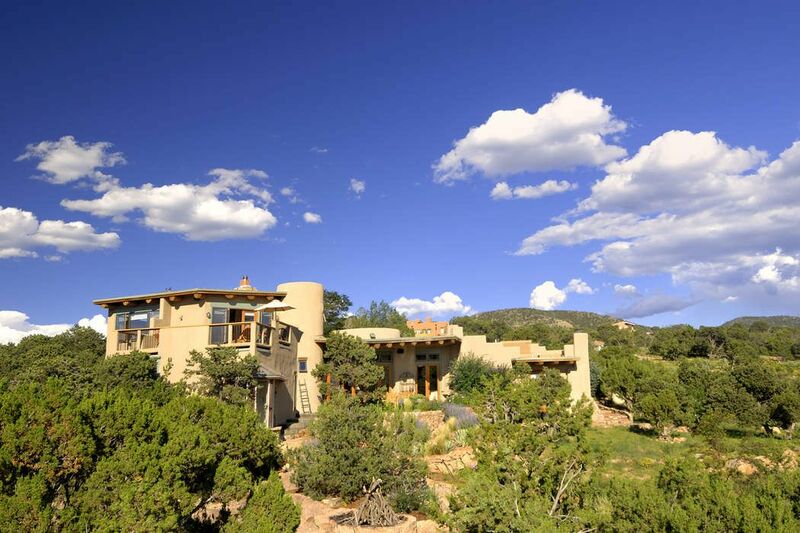 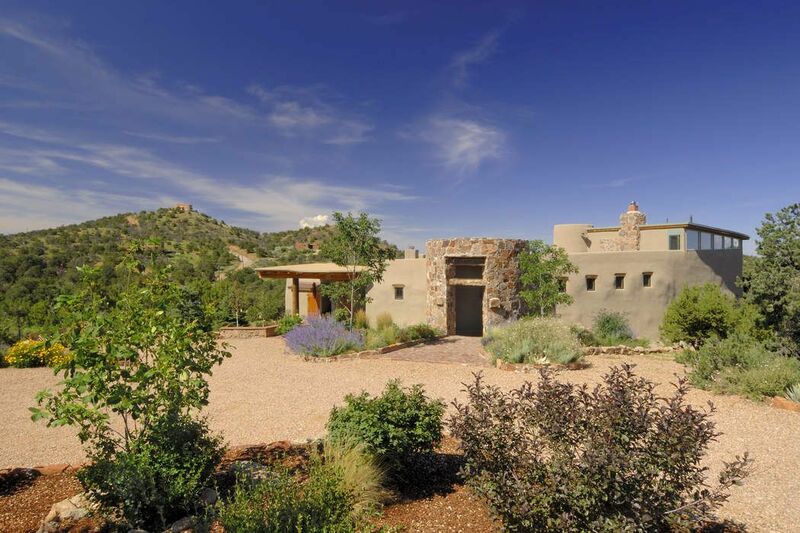 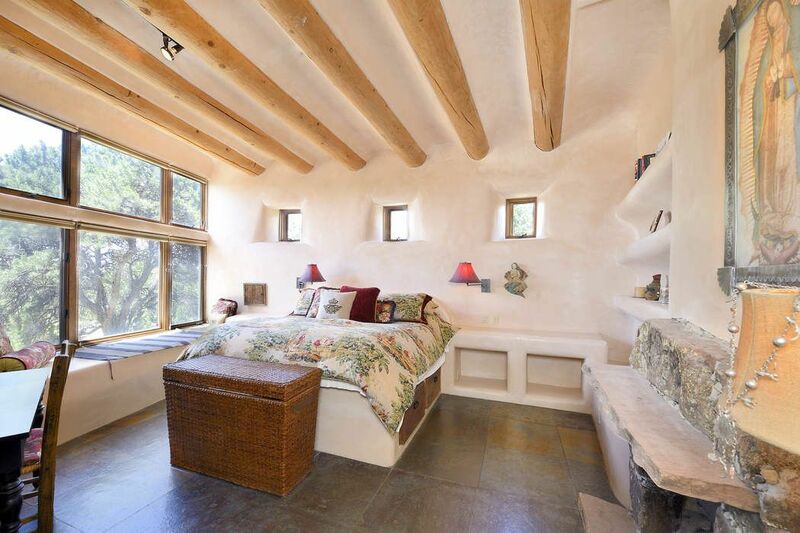 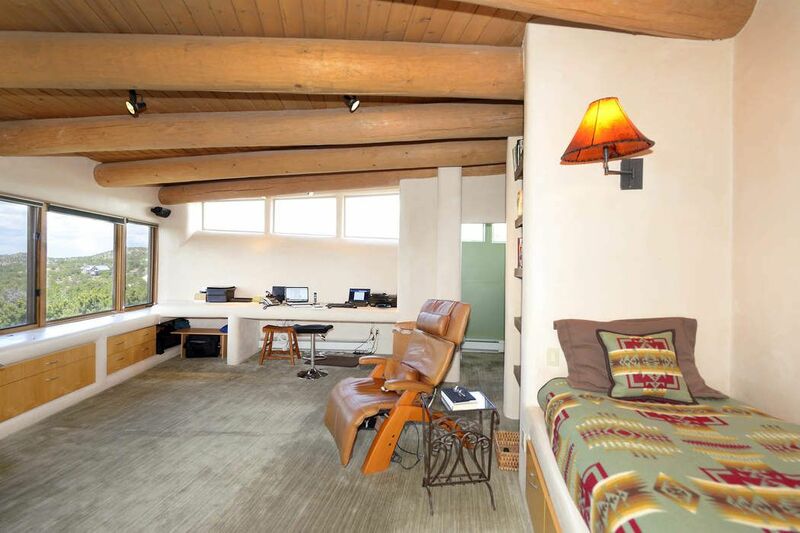 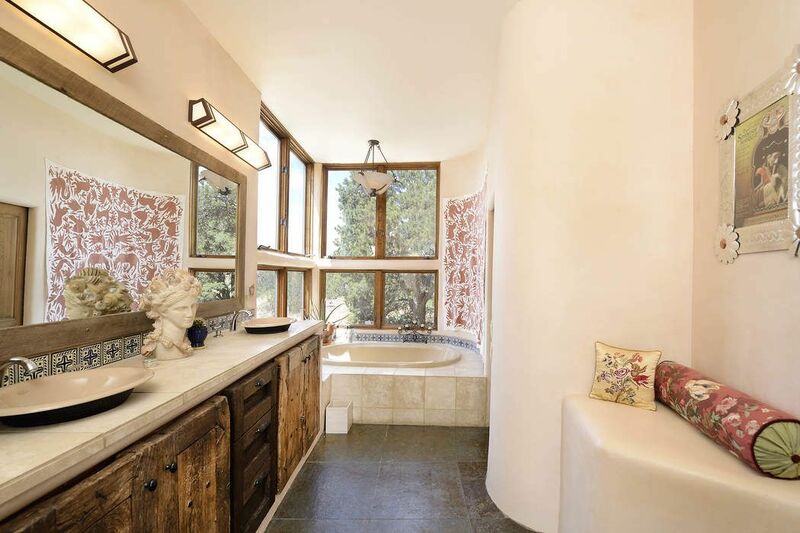 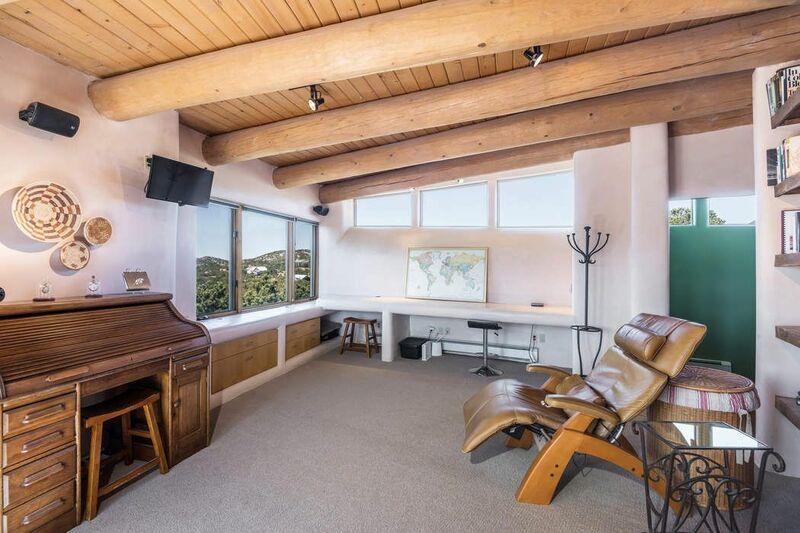 Constructed of straw bale with huge windows and finished with custom plaster, American Clay walls & slate floors. 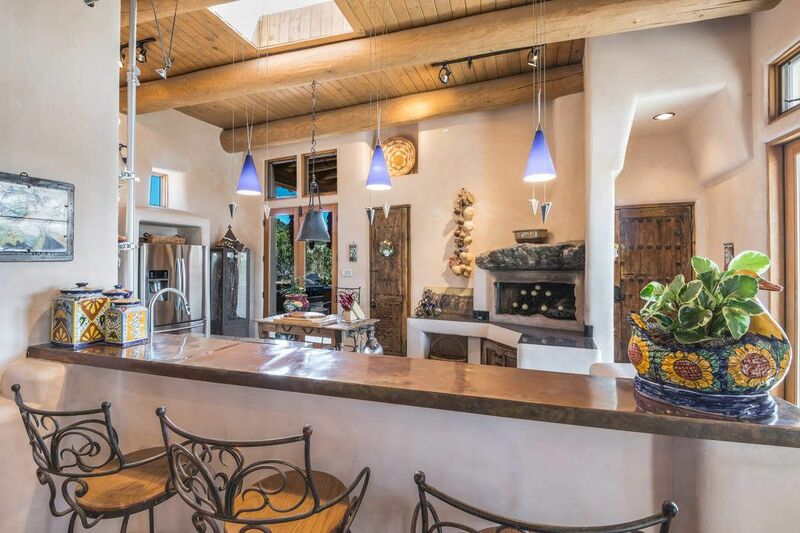 The great room with soaring ceiling & majestic stone fireplace opens to the gourmet kitchen and the spacious master suite with spa bathroom & split floor plan. 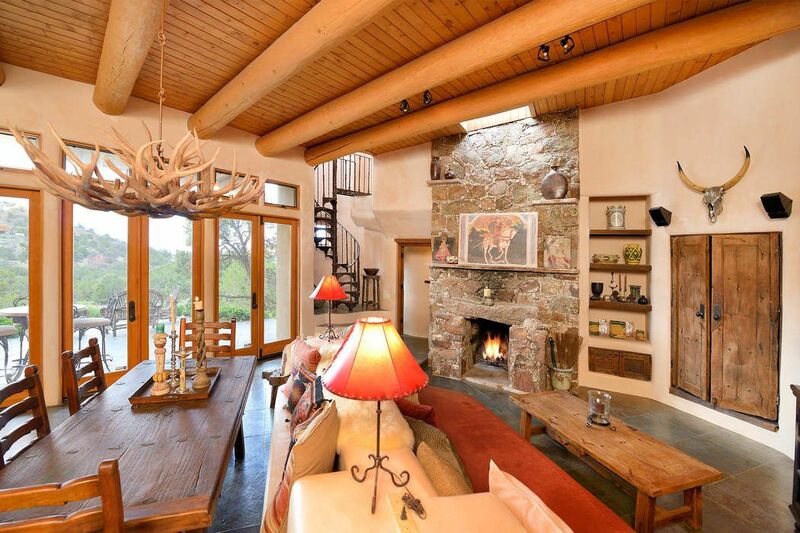 Quality continues with built-in bancos, shelves & accents in every room. 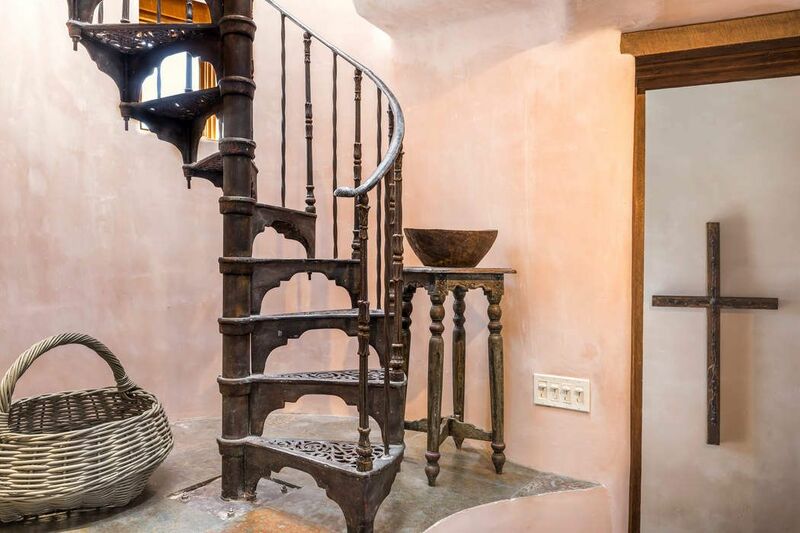 Up an antique spiral staircase is the third bedroom and half bath, with spacious deck, outdoor shower and serenity. 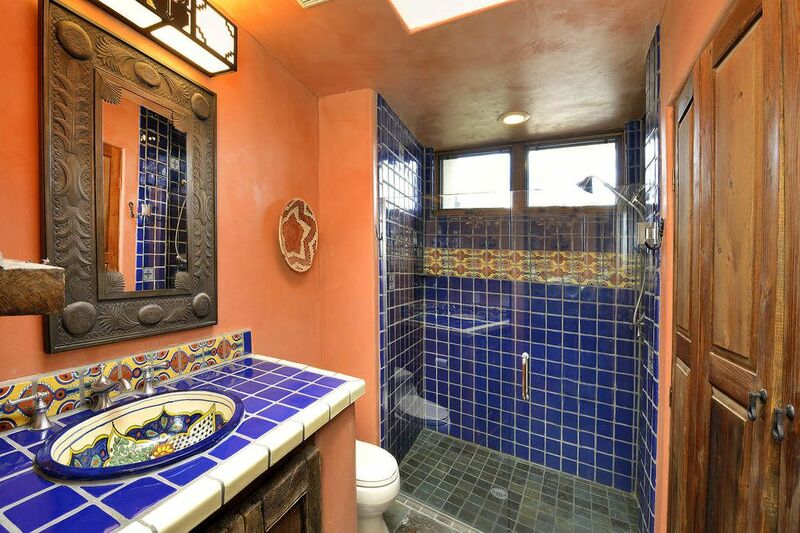 Built in 2001 & well maintained. 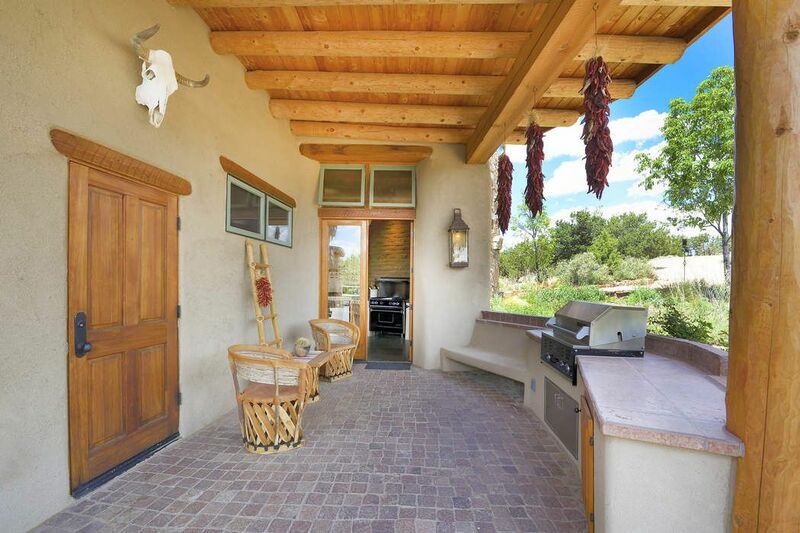 Enjoy town and country living; 3,000 square feet, 5 fireplaces, 3 bathrooms, main living on single level with only a few steps. 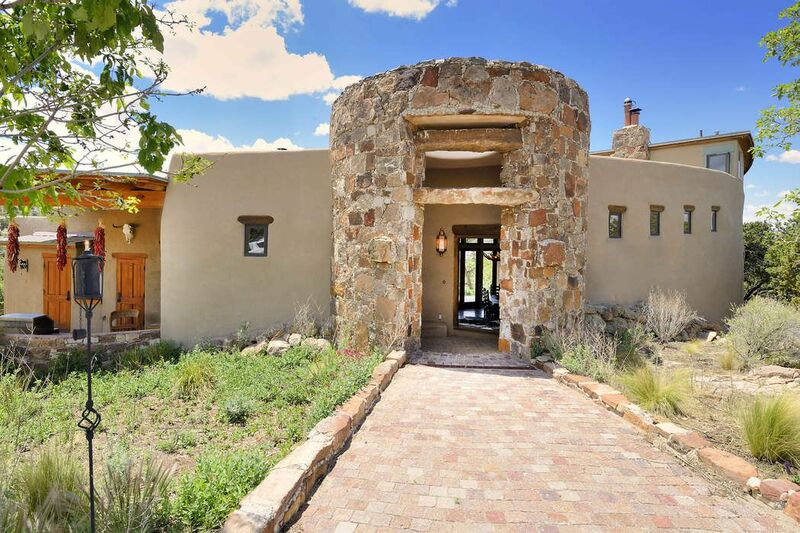 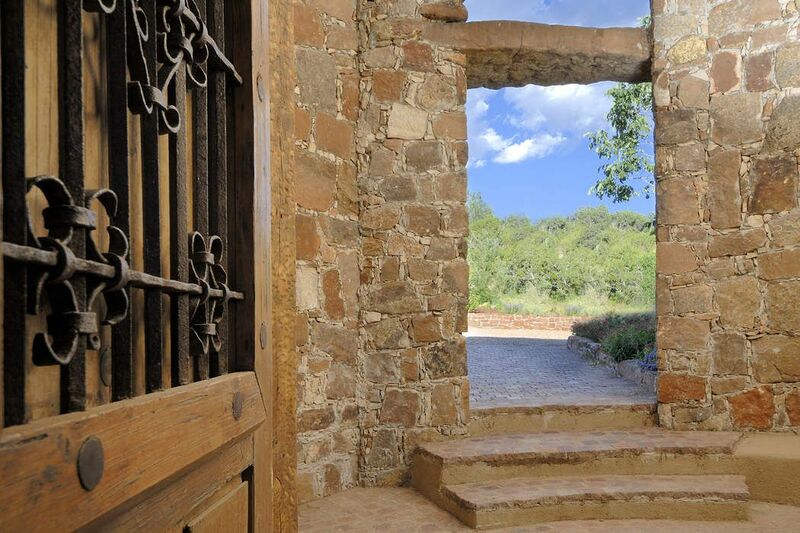 This home is gated, on 5+ acres with peaceful patios on every side featuring gardens with native plants and custom stonework. 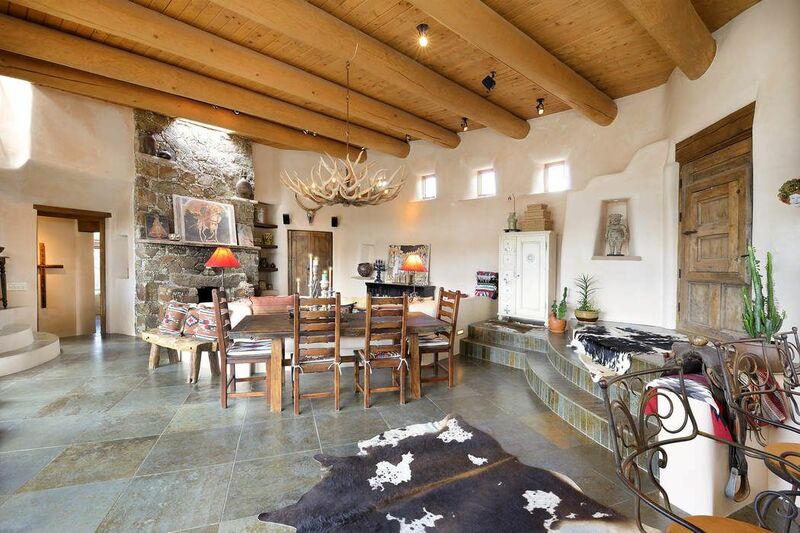 Horses are welcome. 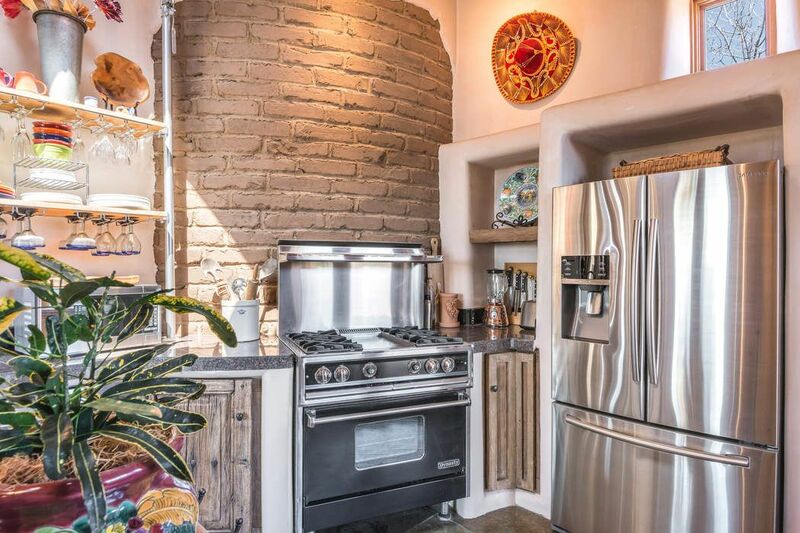 Only 12 minutes to town.